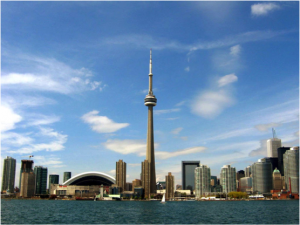 We are ready to begin planting a local church in the Greater Toronto Area. This project has been in our prayers for several years and in the planning stage for a year. We have done some ground work with a leader who is studying in North York. This young man is someone that Ralph has known for a number of years having met him in Kazakhstan and worked with him there during his twice-a-year ministry trips. Then over the past two years Ralph has been building a relationship with him as he studied in university in Toronto. Ralph is now ready to start regular trips to Toronto to plant a local church for students who are studying in Toronto and who have roots in Central Asia. He will be helping to train and encourage the leader who is in his third year in university as well as meeting with those the leader has been relating to – most of whom are not born again but are hungry to know more. The plan is for Ralph to be in Toronto working approximately once a month for four days … and working with the group in-between visits via internet. Ralph will be working with a young third year university student attending North York University. He is from Kazakhstan and is seeking an expression of the Church that will speak to his generation; especially the fellow students he has come to know who do not yet know Jesus but are asking questions. 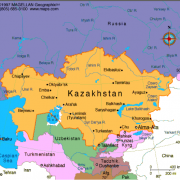 This is a new church plant and Ralph will be working closely with his leader there – supported by the prayers of many young Christians in Kazakhstan who are sponsoring this church plant. Plans are to continue building relationships, forming a local Bible study for non-believers, and watching what the Holy Spirit can and will do. Ralph will be on site once every six weeks to encourage and train leaders. This trip is from October 26th to 29th. Then Ralph will continue on flying to Columbus, Ohio and then driving to Bellville and Butler, Ohio. 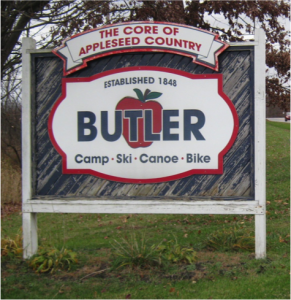 He will be working with Bill Lewis who is an apostle and pastor of The River Community Church in Butler, Ohio. Ralph is one of two outside apostles in an apostolic team overseeing the work there. His involvement now reaches back 7 years and he is usually in this area two to three times a year. This trip is from November 29th to November 5th, 2018. There is another trip planned for December of this year as well. 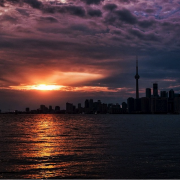 Ralph and his team left Canada on the 23rd of May and returned on the 12th of June, 2018. Ralph ministered in a variety of meetings including regular Sunday services, a leadership retreat, a prophetic school, and meeting of network pastors as well as regional pastor’s meetings. He worked with traditional style churches as well as several house churches. 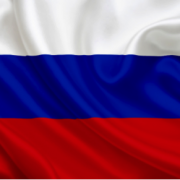 God is truly moving in Russia and doing great things in many regions (oblasts) of this nation. Young people are being touched by the Holy Spirit and are beginning to mobilize, reaching out to others of their generation. 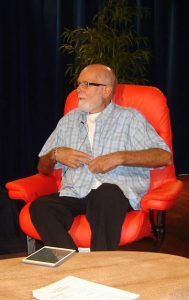 During Ralph’s 21 days of ministry Ralph taught on a number of subjects as well as ministered prophetically and prayed for people to be healed. People’s lives were changed and many young people caught the fire of the Holy Spirit and began to move in the supernatural gifts of the Holy Spirit and power. For Ralph’s daily reports during his time in Russia see Ralph Howe Ministries’ Facebook page for write-ups and pictures. Ralph’s next 21 day trip into Russia will be in early January 2019 and he will be visiting two new cities as well as returning to a number of the cities he has just been ministering in during this latest trip. Each month Ralph ministers for a week in Southern Manitoba. The cities of Winkler and Morden are the main centers in which he works but he is often in smaller centers in the region ministering to house churches and discipling or mentoring individuals. 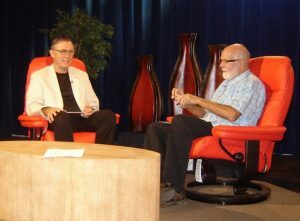 In May Ralph began meeting with business leaders as well with plans for a larger meeting in June 2018 when Ralph will give a presentation of his work overseas and ways in which local businesses can become involved and support the work being done with church plants, rehabilitation homes for drug addicts, as well as the house church movements. Ralph and his team will be ministering in Russian from the 23rd of May to the 12th of June, 2018. He will be joined by a young man named Austin who lives and worships in Winkler, Manitoba. During this trip Ralph will be ministering in the cities of Yekenterinburg, Nizhny Tagil, Ivanovo, Kazan and Kushva. This will involve several flights within the country as well as a lot of driving to connect to the various cities. Ralph has ministered in each of the cities before so he will be renewing relationships as well as meeting new leaders and believers who have recently joined the churches where he will be ministering. There are a variety of topics being asked for including walking in God’s power, being supernatural in your lifestyle, leadership, team ministry, the culture of unity, keeping a healthy spiritual atmosphere in the church, as well as a number of topics regarding prophecy and the prophetic. This will be the longest trip Ralph has ever undertaken and he is looking forward to being in one of the great nations of the world with the terrific people God has called to be His own. Ralph will post daily updates with pictures during his trip on the ministry’s Facebook account. Your prayers and financial support for this trip would be greatly appreciated. 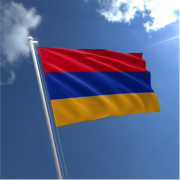 Ralph worked in a number of cities in the nation of Armenia for two weeks in March of this year. He visited and ministered in a number of churches where he had previously ministered in past trips. He was pleased to be able to renew relationships and to build new ones in each city. He also had a number of opportunities to minister directly to the leadership of several churches as well as the youth of the People of God Church in Yerevan (capital city) who met with him at their camp site for a day of ministry. 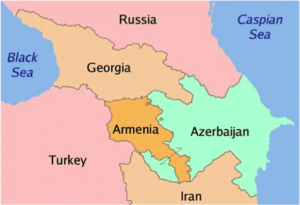 During this trip he also had the honour of ministering for three days in the nation of Artsakh. This was his first visit to this nation and the 7 hour drive through the rugged mountains was breathtaking and amazing to say the least. He ministered in an amazing young church in this nation and prophesied over ever member while there for a number of services. 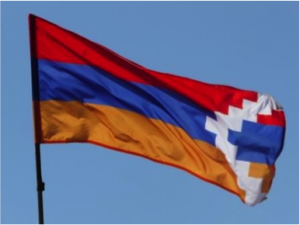 Ralph will be ministering in the nation of Armenia March 15th to the 25th of this year. 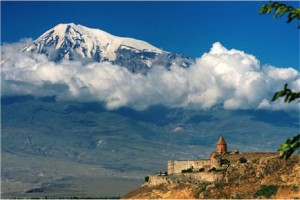 Armenia is an amazing country with some very strong churches. 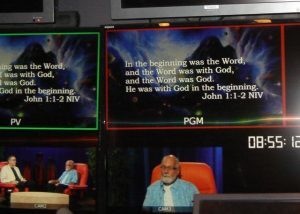 Over the years Ralph has ministered in over half a dozen major cities in the nation and has seen God do amazing things in the lives of His people there. This trip Ralph will be working, as usual, with Samvel Kharatyan whom he first met in Moscow many years ago. At that time Samvel received a prophetic word about his call as an apostle. Ralph had never met him when he prophesied over him. From that encounter during a School of the Supernatural a great relationship has developed. And, in some small ways, Ralph has been mentoring Samvel as they built a strong, personal relationship. 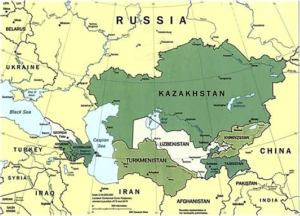 Ralph recently returned from his semi-annual trip into the wonderful nation of Kazakhstan. This two week apostolic ministry trip was the most powerful trip he has ever taken to this nation over the past decade. Those in attendance at all three schools were eager to learn, interacted and engaged with the material being presented, and were obviously impacted by what they were learning and in the ministry times when many received life-changing prophetic words. Ralph also ministered both Sundays to a very active congregation and again the messages were well received and a number of believers were impacted when they received prophetic words. Each evening there was a meeting with leaders, a cell church to attend, a house church to share at, and youth meeting where young people had opportunity to ask questions about any topic they wanted to. Plans are already set for Ralph’s next visit to Kazakhstan in early September 2018. 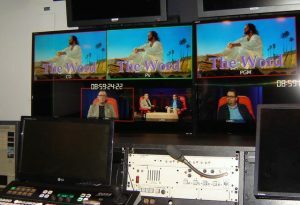 Photos from the taping sessions of the new television series, “The Word”. Watch for the Series, when it runs on Access 7 television. 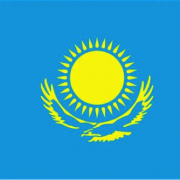 In mid-January 2018 Ralph will heading back for the first of three trips into the amazing nation of Kazakhstan in Central Asia. Ralph has been working in this nation for over a decade and works with both traditional churches, church networks, as well as house churches and their networks. He has established a great number of amazing relationships with leaders from a number of streams within the Christian Church in this nation. And, with each new trip he is pleased to form new relationships with churches and leaders that he is visiting for the first time. The team for this trip has yet to be formed. However, with each trip Ralph is inviting a young apostle to travel with him so that there can be a solid two weeks of relationship building, training and equipping, as well as hands-on, practice experience ministering in another nation as an apostle-in-training.